The signs and symptoms of teething can go on for weeks on end. They can start and then stop (without a single tooth making an appearance). Your child is going to grow 20 baby teeth in the course of two and a half years. 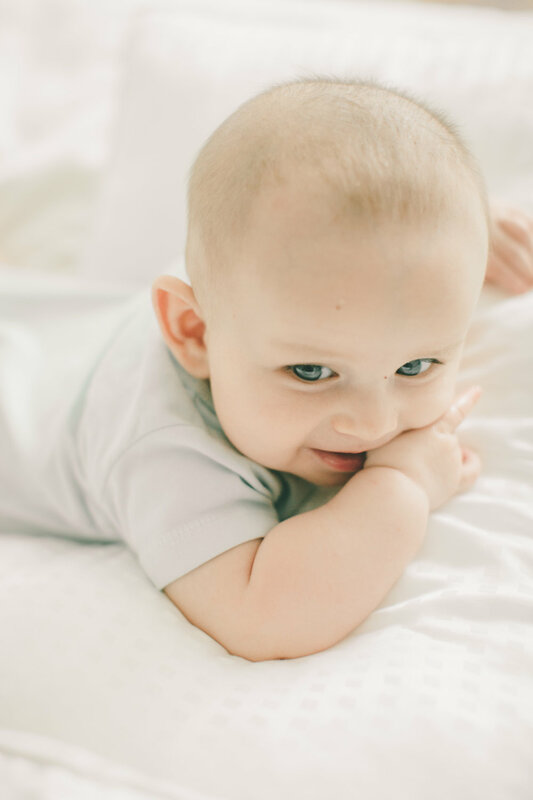 This presents numerous occasions for teething symptoms to disrupt all of the hard work that you have put in to improving and maintaining your child’s sleep. So what do you do? Throw in the towel? Give up and sleep when they are in university? Of course not! We are advocates for responsive and respectful parenting. This means meeting your child’s needs and respectfully attending to them. If your baby was in pain, would you want them to suffer alone? Of course not! But you also don’t want to introduce new habits or routines into the mix. Infant Advil or Motrin as well as homeopathic remedies can be used to reduce pain and swelling of the gums. Make sure that you check with your health care provider to make sure that this is the right choice for your family. Pain management is going to make your child far more comfortable in the night, which will result in fewer nighttime wakings. Supporting children to build their own self settling skills and become more independent at bedtime is hard work. With teething occurring on and off for the first three years of life, if you stopped every time they showed symptoms you would never get anywhere! Teething is not going to cause an ongoing affect to your child’s sleep. It is likely that they may have more trouble falling asleep at bedtime here and there or they cry out in the night one or twice, but it is not going to be a relentless onslaught of distress. The key to responding to wakings when teething is a possibility is to respond to the need, not the want. Treat every waking or falling asleep struggle as unique and attempt to identify what they need in that moment. Maybe it is an extra cuddle, maybe that is a night where Advil might be required. Don’t immediately assume because you saw them chewing on their hands during the day that they are in pain and go in and feed them to sleep when they have previously been falling asleep independently. This is going to introduce a new habit that they will prefer over the original strategy. The goal is to maintain your current routines while observing and responding as necessary to what your child is demonstrating that they need. If they are in pain and need Advil, if they need some extra comfort, etc respond and meet those needs. You are never going to feel guilty about picking up and cuddling your child. Just next time that you attend to them, don’t immediately assume that they need the same comfort. It is likely that things will get slightly off track when your child is teething, but that’s ok! Once the tooth has erupted and your child is back to normal, go back to your normal routine. If they are demonstrating behaviours that they had while they were teething, implement the strategies that you initially used to get sleep on track the first time. Remember, consistency is key! If you have had a set back because of teething, an illness, a holiday or any other unforeseen circumstance and you are having a hard time getting back on track, reach out for a complementary 20 minute Discovery Call and ask us about our Mini Consults!